Disclosure: This is a partnered post with Tangerine Bank. As always, my words and opinions are my own. The start of the new year is for many the time for resolutions. Now, I’ve never been big on resolutions, but there is something about the New Year that can’t help but give you a feeling of a fresh start. Hope is lingering in the air. It feels like everywhere you look where is the potential of change for the better. Throughout the year things change, and change again, and I am left feeling like I am racing to keep up. My family is still working through restructuring our household to have another adult living with us. We’ve also had to adjust to the fact that my husband left the company he’d worked with for over twenty years. While at the same time I’ve been scrambling to find money to pay for special needs testing for the one kid and essential dental work for the other. Some days I feel like I am struggling just to keep everything afloat. So, a reset button? A let’s stop for a second, pause, take a big breath and rethink things moment? Yeah, I’m all in. Are any of your resolutions for 2019 finance related? 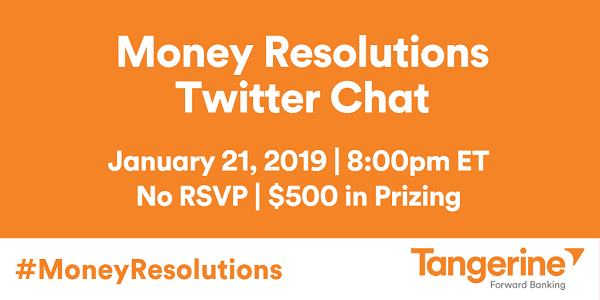 Join in the Tangerine Bank Money Resolutions Twitter Chat! Note: Anyone can participate in the Twitter Chat, however, only Canadians who live outside of the province of Quebec are eligible to win a prize. A quick glance through the Facebook feed can confirm what you probably already know — most resolutions don’t last very long. 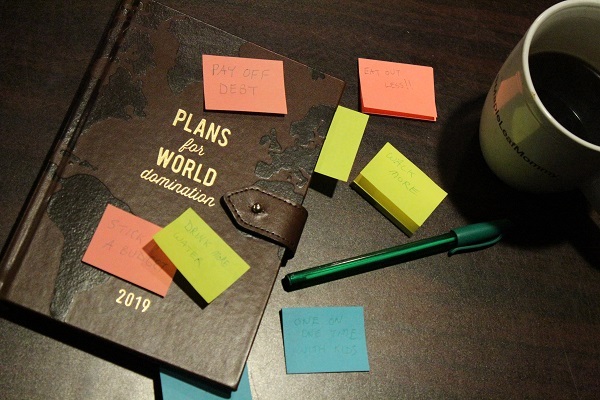 Why not take this chance to get some ideas and inspiration (and maybe even a few extra $$) to help keep your 2019 financial resolutions?